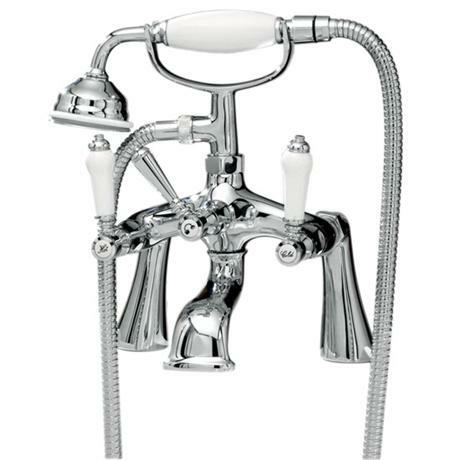 The Ultra Traditional Bloomsbury Bath Shower Mixer with Shower Kit. Classically styled taps, designed and built using the latest techniques. Bloomsbury offers traditional tap styling coupled with expertly crafted levers. An ideal choice for those wishing to upgrade a classic bathroom. We recommend a minimum operating pressure of 1 bar for best performance. Combine with a shower and towel rail for timeless bathroom elegance. very happy indeed with this purchase which was even better than it looked online, very solid and looks far more expensive than it actually was. thank you for such a great buy!